Happy Friday Everyone!! We Made it!! Before I get into the meat of today’s Fess-Up post, I’d like to mention that the “Two Questions With…” blog tour will soon be heading into its third, and final week on Monday. 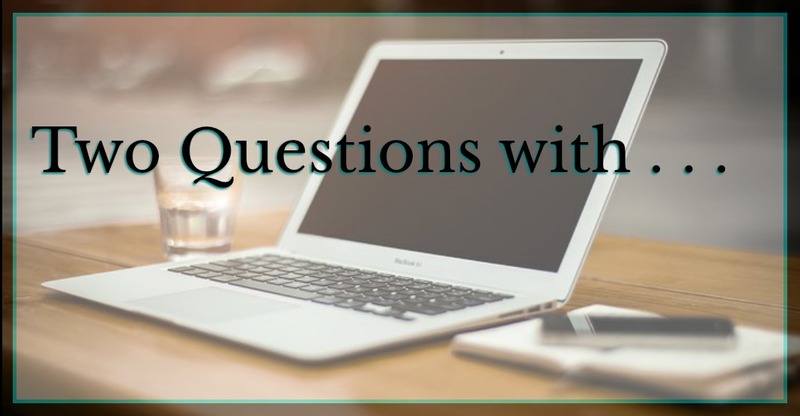 In case you haven’t heard,”Two Questions With…” is a blog tour where I and some amazing author friends of mine will each be answering two questions on each other’s blogs. Come join the discussion to find out what makes this small group of writers tick. It’ll be a great time. Who are the other authors, you ask? What questions will we be answering? Well, you’ll just have to tune in and find out. June 11th – Janet Walden-West and I, and Pat Esten and Anne Raven. June 18th – Pat Esden and I, and Janet Walden-West and Anne Raven. June 25th – Anne Raven and I, and Pat Esden and Janet Walden-West. Ok, so it looks like Five Thing Thursday is going to become a regular thing. I’ve enjoyed doing it and it keeps me on my toes during the week, looking out for awesome stuff that I might otherwise have breezed past. Win-Win for everyone. You can check out the latest Five Thing Thursday here. I think that I might finally be on top of the whole Allergies thing. I still haven’t slept a solid eight hours since Balticon but I’m also not dripping like a leaky hose*. Be that as it may, I still must confess to only writing two days this week out of the usual five. Getting enough rest is still paramount, but it still stings to be out of action as much as I have been. I have discovered something new, lately: Writing by hand appears to be becoming a thing. I’ll get up in the morning, get the coffee flowing, and start by writing out two pages (ish) long hand. Apparently, I can type faster than I can think – well, now that I think about it – That’s probably not what’s going on. What I do know is that the slower flow of the words through the pen somehow allow me to get the words lined up one after the other easier. Speaking of going, I’m closing steadily on 50 k words on the current project (Working Title: Jade Moon Waning). I wasn’t sure if I’d get this far – for a number of reasons, most of them rooted in self doubt. Now I’m in a space where I was recently talking about finishing off the next 50 k words as a matter of course. And that, friends is a good place to be in. Be sure to stop by on Sunday for the regular post. Also be sure to stop by the Freebies page for story Excerpts. Don’t forget: The third, and Final week of the Two Questions With… Blog tour kicks off Monday! Stop by the Events page for the full schedule and to get caught up with the previous questions.